Pool Renovations Brisbane by Proswim including equipment upgrades. 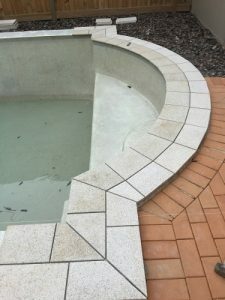 Pool Renovations Brisbane can be a great addition to your home, but not if the said pool is old, grimy, dangerous, unsightly or simply does not function as you would like. For unfortunate pools like these, Proswim can provide expert pool renovations so that your swimming area fits your needs. Not to mention, a nice looking well maintained swimming pool can add a lot of extra value to your home. Call us on 07 3269 7665 or email us poolshop@proswim.com.au to discuss your needs. We can organise everything from rust mark repairs, new coping tiles, pebble interiors, as well as complete pool overhauls. If you could start with a brief explanation of what you have, as well as what you would like to achieve. Some photos of your pool would be a great start in helping us understand your desires. Maybe you just moved into a new Brisbane home and the pool isn’t up to par. Perhaps your current pool could do with a bit of a facelift. Make your pool the centre of attention in your entertainment area. Give the pool a makeover, add some lights, do some landscaping in the pool surrounds, add a water slide for the kids. Impress your friends with your new multi coloured LED lights that you operate via remote control. You will need an extra fridge handy though, for all the extra guests! Get a quote today, why not find out exactly what we can do for you, based on your budget. Proswim can organise just about any repair or renovation that you require. Rust marks, waterline tiles, loose pavers, glass bead interiors, granite copings, as well as full renovations. Using suppliers like Blue Glass Pebble Company, The Pool Tile Company and products like pebble, glass bead, clay pave, granite, not to mention Travertine.